I am looking for a set of 4 Big Brake 15 X 5 1/2 Steel Wheels. Does anybody make reproductions of these wheels? There have been several individuals that have made their own reproductions. Some with poor quality welds, lots of wobble going down the road, etc. Be careful of those. I know of three sets that were made with correct original pieces by a wheel manufacturing company here in Milwaukee. They were properly trued, etc. You would want to find some done with similar quality and safeguards. I am not aware of any other quality reproductions. I have these.... I'm pretty sure they are GM by the stamp on them. LMK if you are interested. The OP is looking for C1 big wheels (not necessarily big brake wheels, as the wheels could be ordered without the brakes. The C1 big wheels are Kelsey Hayes 15 x 5.5 inches, and are riveted construction. One solution, if you can find the parts, is to locate a set of Chevy 15 x 5.5 riveted 6 lug truck wheels (tough to find, but not impossible, and a set of 15 x 5 riveted 5 lug passenger car wheels. I think you can also use 1949 ish Mercury 15 x 5.5 wheels with the 15 x 5 passenger car centers. Removing the rivets from both sets, the installing the 5 lug 5 inch passenger car center into the 6 lug 5.5 inch outer wheel section. Reinstall the rivets and you are there. And no, it is not as easy as it sounds, but it is a method of making repo big wheels. Curious, what would be the difference between the '63-'64 stock wheel, and the C1 Big Brake wheel, both are 5.5", do know the later wheels are welded, but both have the lobes to accept the small dog dish cap? There is a safety bead on the 63/64 wheels. The valve stem is smaller, There are 2 bumps around the valve stem and I am pretty sure the offset is different. Outer 5 1/2" cores are easy to find. The correct inners are the hardest part to find. If you're lucky enough to find a '62 police car in a junk yard, that chassis option included 15x5.5K wheels. (same as Corvette). The Taxi Chassis option was just 15x5. 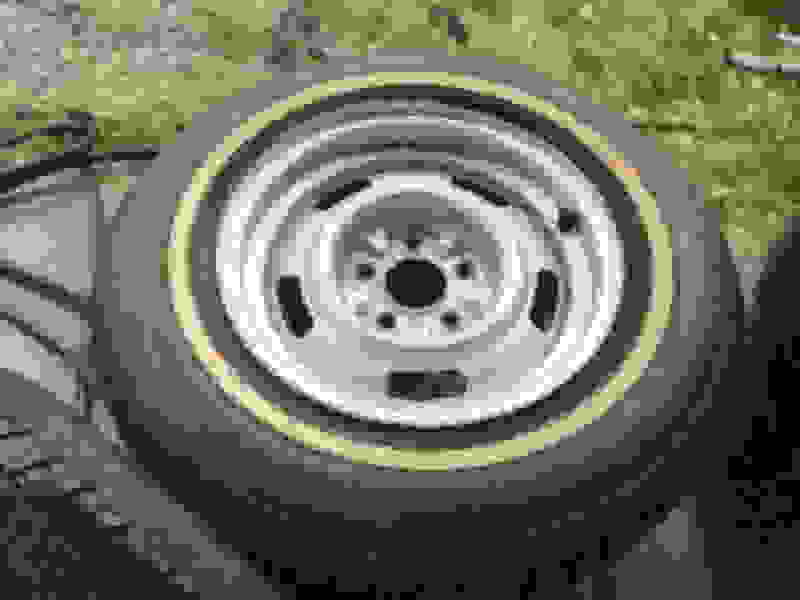 15x5s were also used on any passenger car with a 15" tire option. The 5 1/2" wide wheel is called an RPO #276 option. It was ordered seperately in the 57-62 era. Many feel that it was standard on all RPO cars ( 684 and 687) but there are apparently a few exceptions where they were not installed on RPO cars. They were riveted, had a safety bead and a larger valve stem hole. Originals lack the nubs on the outer circumference to hold the full wheel cover. 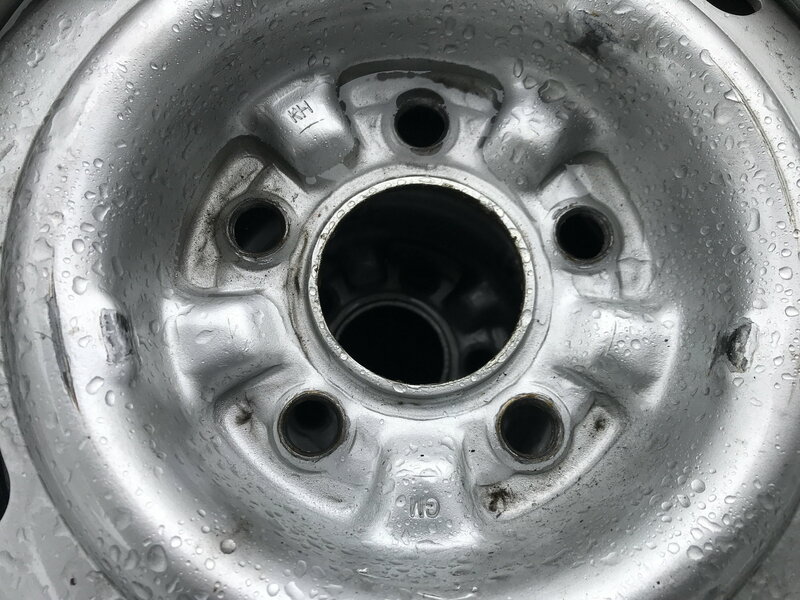 Replacement 5 1/2" wheels (commonly known as 8080 wheels) are welded and have 2 nubs adjacent to the valve stem hole and lack the safety bead. You will need to grind out the centers slightly if you intend to use them on a 59-62 corvette. 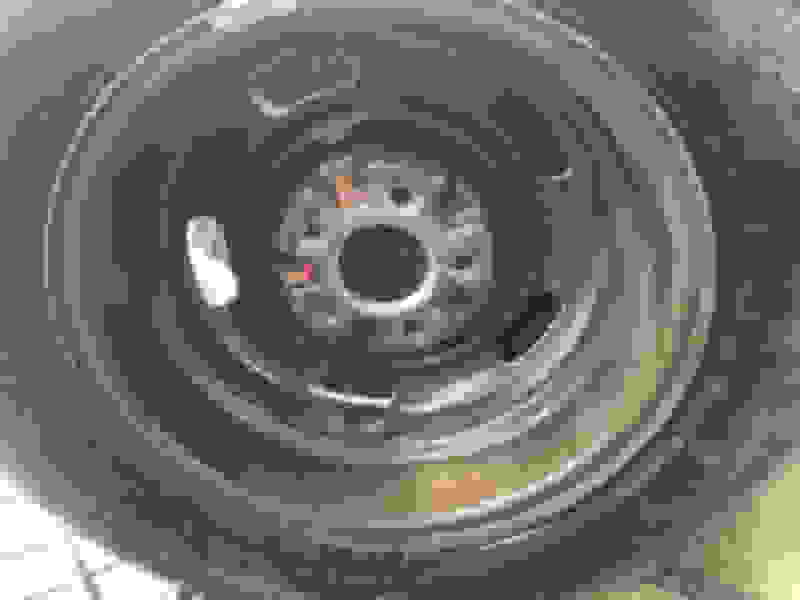 This wheel is likely the best route for most 57-62 owners unless you are looking to be 'judging correct" . In that event one needs to find originals or properly assembled reproductions as Mike points out. if you are interested in Solid Axle RPO cars including RPO #276 wheels you can refer to an article written by Dr. Gerald Wagner. www.libertyship.com. Excellent read and reference. In addition there is a very good article in On Soild Ground - Winter 2000 on 57-62 RPO wheels. 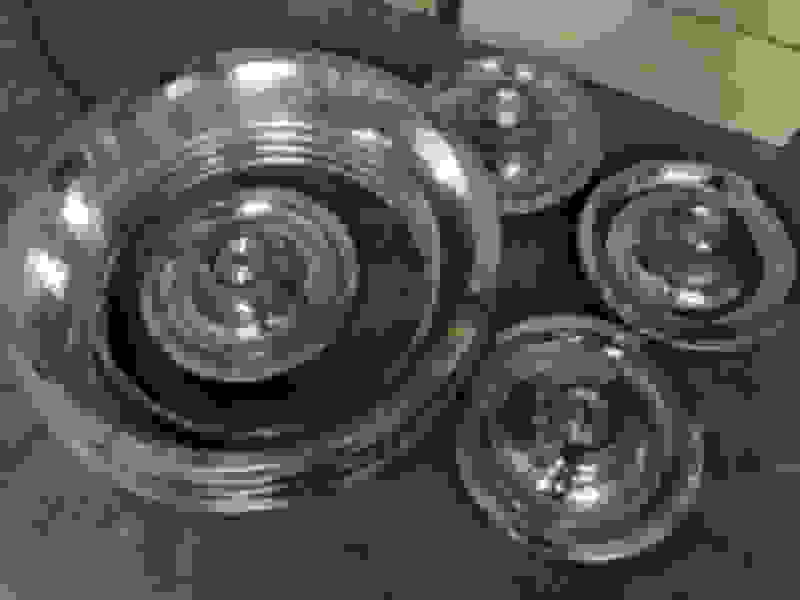 These appear to C3 rallyee wheels. Last edited by RestoMike; 04-07-2019 at 01:44 PM. The difference is about $2250 per wheel. 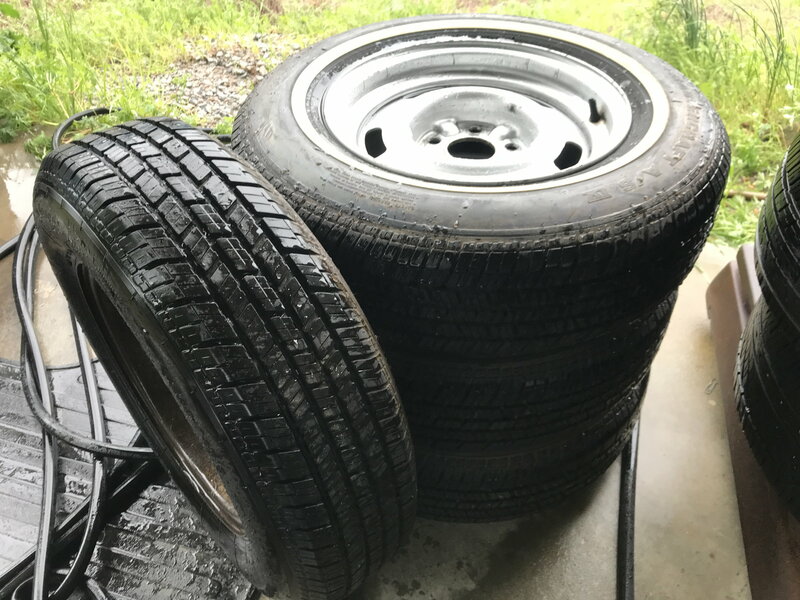 A good used set of C1 5.5 inch wheels will set you back around $10K. A good used set of 63-64 wheels are something like $1K, maybe $1200 a set (I guess). I have a set (5) of these wheels Mike is speaking of. There is a circle of friends in the Milwaukee area that found the correct parts and then had them professionally remanufactured and trued. These balanced up nicely and in my opinion, are undetectable when tires are mounted. If interested, PM me. I would consider parting with them. I have decided to hang onto these.